Look closer, beyond the historic architecture and stunning views that define Chesterwood’s serene character and discover a place that inspired a hard-working, successful American artist who forever memorialized important touch-points in American history—a place that continues to inspire artists to this day. As the leading monument sculptor of his era, Daniel Chester French was a central figure in the American Renaissance (1876 – 1917), a period of American art and architectural history during which many felt that the “European Renaissance spirit had been captured again in the United States” (R. G. Wilson, The American Renaissance, 1876 – 1917). This innovative, nationalistic spirit led to a proliferation of grand public buildings and parks commissioned for towns, cities and land across the United States, and included the art and monuments that help tell their stories—many created by French and much of it created at Chesterwood. French’s sculpture and monuments criss-cross the US and include our most famous American-made icon of equality and freedom: the seated figure of Abraham Lincoln for the Lincoln Memorial. French split the year between his home and studio in Greenwich Village in New York City, which was swiftly becoming a fashionable, bohemian artist enclave, and his home and studio at Chesterwood, in the Berkshires, a region that boasted its fair share of wealthy industrialists and artists and writers who sought the natural beauty of western Massachusetts. Whether he was in the city or the country, French’s life was a happily busy mix of work, family gatherings, and time spent with the artistic and intellectual luminaries of his day, many who spent time at Chesterwood (think Edith Wharton, Henry James, Isadora Duncan, Ted Shawn. 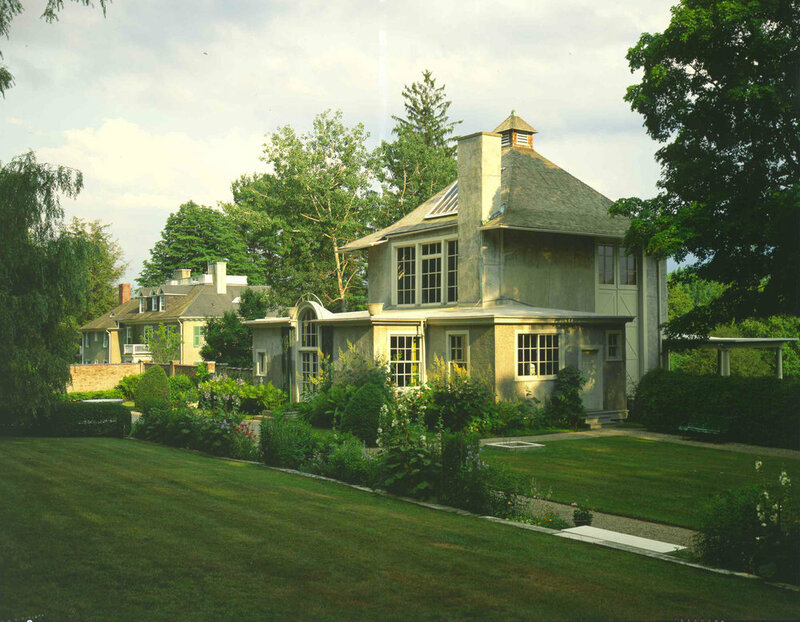 French knew that the Chesterwood property was the perfect spot for his summer home once he saw the view of Monument Mountain and eagerly set out to create a unique setting that would be both a respite for the artist and his family as well as a place that ignited his work. Creativity continues to be a by-product of time spent at Chesterwood, whether it is a contemporary artist creating an outdoor sculpture in response to the incredible landscape at Chesterwood, or a visitor from the city taking a restorative trip to the Berkshires and experiencing a moment of peace. Experiencing Chesterwood, and the life and passions of Daniel Chester French, connects us to three important tenants of the American ethos: creativity, love of land, and a hard work ethic. Explore a roster of programs with artists in Chesterwood's outdoor contemporary sculpture exhibition, Out of Site, take a tour of the property, or plan for a Thursday evening with friends at Chesterwood. Chesterwood visitors share their experiences on Instagram.